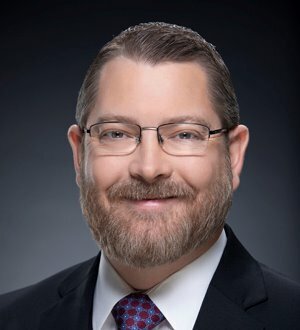 Terry A. Moore is a native of Las Vegas and attended the University of Nevada, Las Vegas where he obtained his bachelor’s degree with honors in environmental studies in 1998. He then obtained his Juris Doctorate as a member of the charter class of the William S. Boyd School of Law at the University of Nevada, Las Vegas in 2001. Mr. Moore’s practice is primarily devoted to real estate matters with a particular emphasis on commercial real estate, landlord-tenant issues, title insurance and escrow litigation. For the past 13 years, Mr. Moore has represented numerous commercial and residential property management companies, commercial building owners, title insurers and title agents throughout Nevada. Mr. Moore has achieved an AV® Preeminent™ rating (the highest available) from Martindale-Hubbell as well an “Superb” rating from AVVO. He has also been voted by his peers as one of the Legal Elite in Southern Nevada and is recognized as one of the Mountain States' Super Lawyers. He has conducted numerous jury and bench trials before Nevada State and Federal Courts. He has also handled numerous appellate matters to the Nevada Supreme Court. Among his notable cases, Mr. Moore was co-lead trial and appellate counsel in the case of Thitchener v. Countrywide Home Loans, 192 P.3d 243 (Nev. 2008) (en banc). Mr. Moore has been a member of the State Bar of Nevada Bar and the United States District Court, District of Nevada since 2001. In 2013, Mr. Moore was admitted to the Ninth Circuit Court of Appeals and the United States Supreme Court. He is a member of the Nevada Land Title Association, Southern Nevada Escrow Association, Nevada Escrow Association, the American Escrow Association, the Nevada Apartment Association, and the Building Owners and Managers Association. In his spare time Mr. Moore is an aspiring chef and wine enthusiast who enjoys watching football and soccer. He also enjoys spending time with his three children Jesse, Zachary, Madeleine and his wife Stacey.